Sight-reading is arguably the worst part of every audition whether as a student or a professional. For many people, sight-reading comes easily. For others (like me), not so much. Plus, there’s a common belief that you can’t learn to sight-read before you need to do it at an audition. After all, how can you practice music that you won’t see until the audition? Well, there is an easy way you can practice sight-reading, and you need to work on it because you’re gonna need this skill a lot as a professional musician. 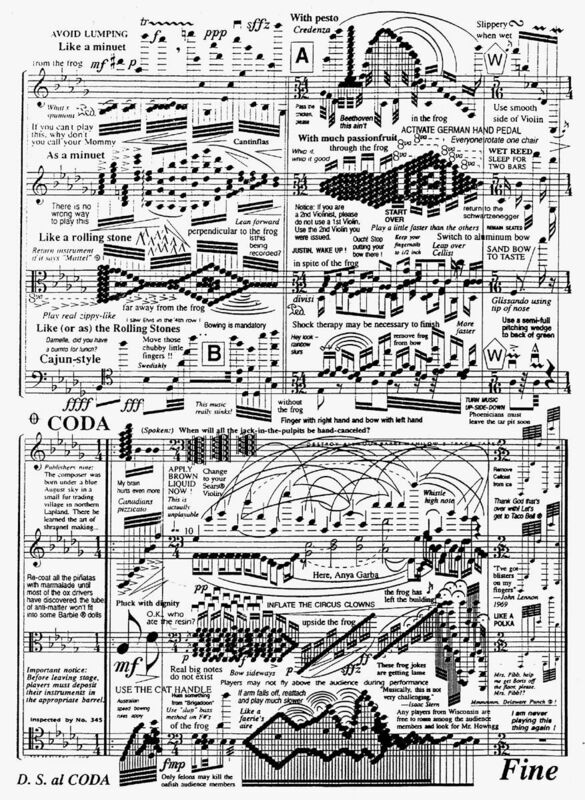 Why Do We Have to Sight-Read? I played in a group for a few years that performed a different program each Wednesday night all summer. We didn’t know until we showed up what music we would be performing. We had an hour to learn the music at a quickie rehearsal before the show. We had to sight-read this music the day of the performance. Such is life as a symphony musician. Without decent sight-reading skills, none of us would have been hired. As a professional, you will sight-read, and you will do it a lot. Often, you won’t get the music before the first rehearsal so you’ll have to sight-read it when you get there. You had better do a good job if you want to keep getting hired. There’s also the case if you sub for someone last minute. You may not even get to rehearse with the orchestra. Good sight-reading skills will keep you employed. Period. You need to be someone contractors and orchestras can count on. For my students, I use Mozart string quartet 1st violin (or viola) parts for sight-reading practice. The music is easy enough to sight-read but has plenty of tricky spots that cause trouble. Haydn and most Beethoven will also work, but Beethoven’s middle and late quartets are really tough, even for seasoned professionals. If you don’t own the music (shame on you if you don’t! ), you can download and print it at IMSLP for free. Pick a section that has few multi-bar rests and play it. I like using the Minuet movements from Mozart and Haydn because the rhythm can be a little more complex. For students, I try to stay away from passage work normally found in the last movements unless they are more advanced. For self-practice as a professional violinist, I use obscure chamber music that I don’t know. Usually more modern music, and usually piano trios, string trios, or sextets. String quartets are too common and I know too many of them. You want music you’ve never heard before, let alone played. Piano trios tend to have more difficult parts than string quartets, and there are some really good obscure ones that you can use like the Smetana Piano Trio or the C minor Mendelssohn Trio . The Beethoven String Trios are also great to practice sight-reading. Tempo marking – Make sure you look backwards to find the tempo marking if you aren’t starting at the beginning of a movement or piece. Do your best to play at the tempo indicated. 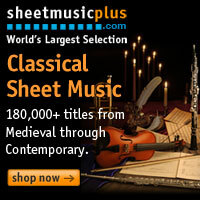 Composer – See if you can find out the composer so you can play in the right style. If it’s not on the page, ask the proctor. The worst that can happen is they say no. 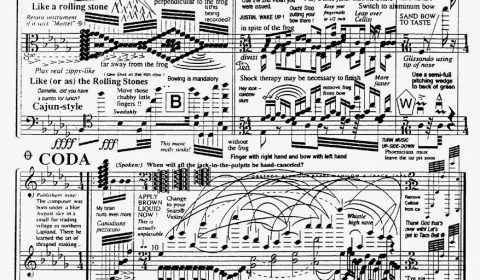 Fast notes – Scan the excerpt for difficult looking notes (usually 8th or 16th notes). Make sure you play the rest of the music at the speed you can play the fastest notes. Accidentals – Look for accidentals. That way there are no surprises. All of the above shouldn’t take more than one minute. Even if you’re done looking the music over, keep looking until they tell you to play. Do not put your fingers on the instrument though, because then you must start playing immediately whether or not you’ve finished your checklist. Now you need to play the music. You can’t stop to fix mistakes. You have to just play the best you can. One way to avoid stopping is to always look a measure or two ahead of the notes you are currently playing. If you’re looking at the notes at the same time as playing them, it’s too late. You need to see what’s coming. When you practice sight-reading, you need to work on this particular skill. It will save your behind both at the audition and later on when you have to sight-read at a gig. Don’t let adrenaline get the better of you . Start a little slower than you think you want to play. Your blood will be pumping and you will be nervous at the audition, which means you will naturally do everything faster. Take a breath and take it slow. After you take that last breath, get going. The longer you stare at the page, the more nervous you will become. Don’t let your mind grind gears. When you’re ready, go! If you have taken the time to practice sight-reading using the tips here, you should be no more nervous than if you are playing music you know. What is the Committee Looking For? Aside from playing the right notes in the correct rhythm, the audition committee is looking for some very specific things. You must consistently play in the right key. That means D-flats if you are playing in A-flat. Rhythm – You need to play all of the notes within the correct tempo. Even if you play a little slower than the music really goes, you need to play both easy and hard notes correctly in relation to tempo. This is a big one. Accidentals – Getting the right note is important but carry-over accidentals are what separate you from a novice or unprepared player. Dynamics/Phrasing – This is another separator. If you can play what’s written on the page (including dynamics), you will stand out. You may not be the only one who hates sight-reading, but you can be one of the scant few who knows how to practice sight-reading. I always say – confidence through preparation. If you are prepared and you’ve worked as hard as you can, you can’t be worried about screwing up because you are prepared. Accidents happen, but if you are prepared, only an accident can derail your excellent audition.